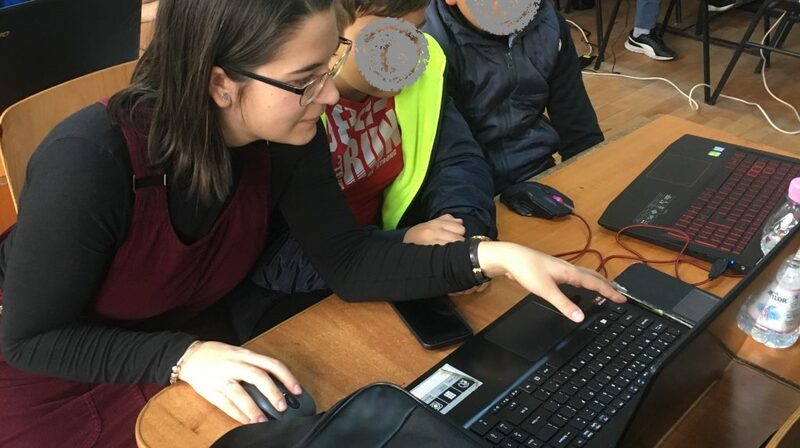 Young volunteers: teenagers inspiring their communities with technology! The CoderDojo movement is founded on providing opportunities for young people. 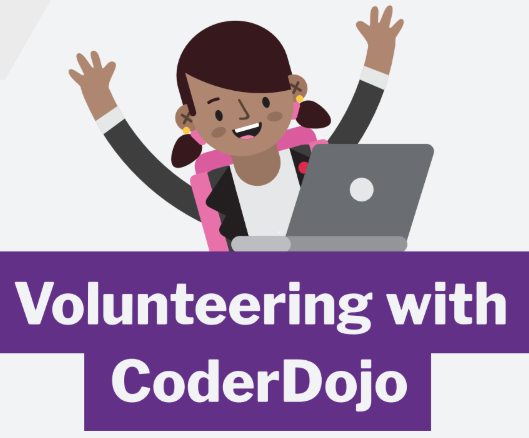 This month we’re highlighting the incredible contributions made by young people who are involved in CoderDojo through youth volunteering — either as mentors at their local Dojo, or as youth champions. Any young person can get involved and inspire others to create cool projects with code. Peer mentoring, participation, and leading by example are all core aspects of our ethos, and all of them can be fostered by youth volunteering at Dojos. While researching the work of youth volunteers for this blog piece, I spoke with three awesome teenagers who have become involved in Dojos in different ways. Peer mentoring is highly encouraged at Dojos, and is beneficial to all involved. Ninjas can often feel more comfortable approaching a peer for help; acting as a peer mentor can also boost a young person’s understanding of a subject, as well as their confidence, communication skills and strengthen social bonds. If you are a young person at a Dojo, why not share your knowledge by mentoring a younger Ninja! 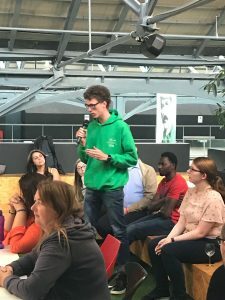 Brendan had the opportunity to showcase a website-based project at one of the earliest Coolest Projects events, which was hosted at DCU, Dublin, in 2014. He later took part in Coolest Projects 2015 and went on to enter the 2016 Eir Junior Spiders, where he was selected as a finalist. Alexia had a powerful message for girls who would like to get involved: “If you are a girl in tech, trust your own powers — there is a place for us in this industry, and don’t let anyone else tell you otherwise. 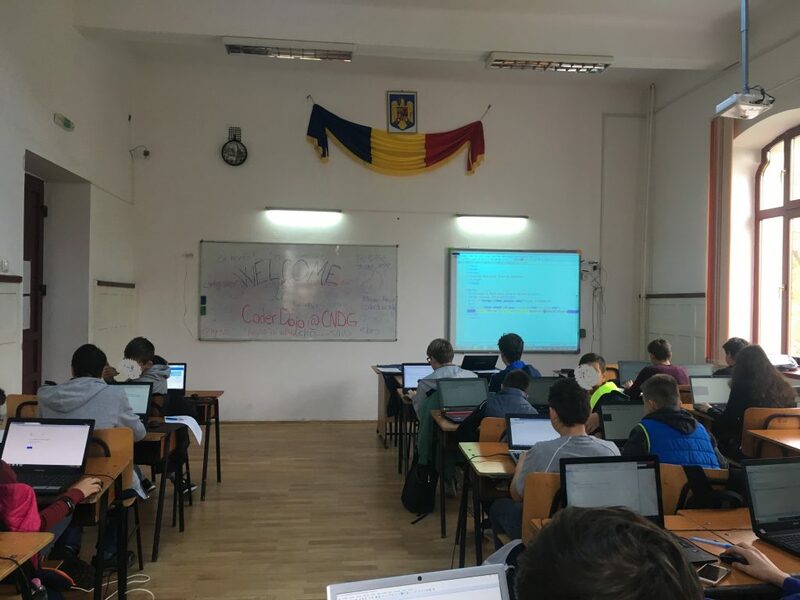 Even though computer science paints the image of guys, let this motivate and inspire you, because girls can code too.” We couldn’t agree more, Alexia! If you are looking for a Dojo to attend, either as a Ninja or a youth volunteer, you can find the one nearest to you by typing in the name of your town or city here. The organisers of your local Dojo will be able to help you. If you are a young person who would like to start your own Dojo, please reach out to us at [email protected] to tell us more. We are always happy to hear from young people who are interested in getting involved! Great move..You did a very good job,,from this early age every child will got an idea od Technologies and their advantages in our life..Congratulation for this great work!! !